As a contestant on "The Hero Project," you'll battle villains and heroes alike with your newly discovered "Infini" powers. 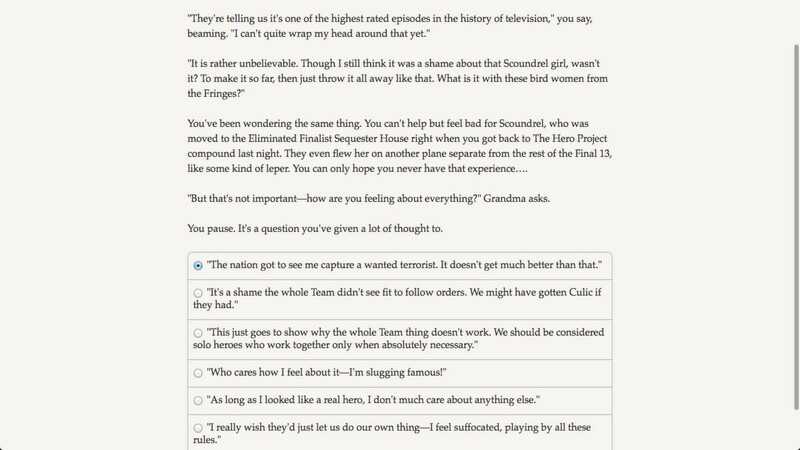 Will you vote to eliminate your rivals, or betray your alliance to curry favor with the celebrity judges? 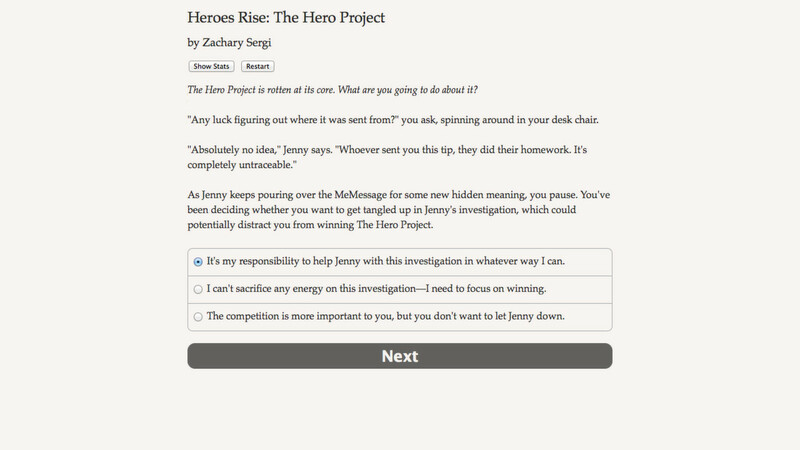 "Heroes Rise: The Hero Project" is the sequel to last year's hit "Heroes Rise: The Prodigy," the epic interactive novel by Zachary Sergi, where your choices determine how the story proceeds. 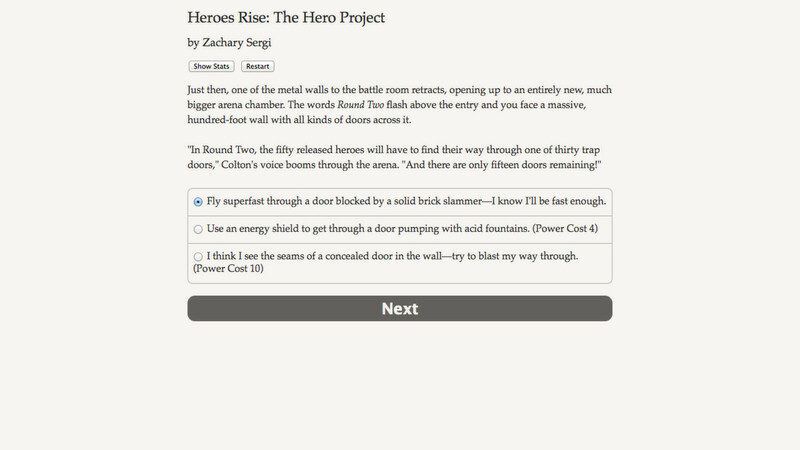 The "Heroes Rise" series is entirely text-based--without graphics or sound effects--and driven by the vast, unstoppable power of your imagination. For example, everybody on a reality show has to have an "angle," which doubles as a strategy to win and also as a role to play for the cameras. Which will you choose? A loyal ally and team player. A villain everyone loves to hate. 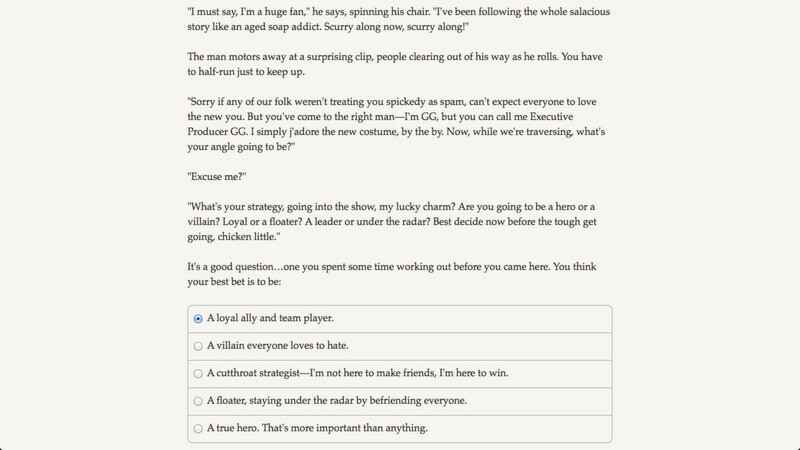 A cutthroat strategist--I'm not here to make friends, I'm here to win. A floater, staying under the radar by befriending everyone. A true hero. That's more important than anything. 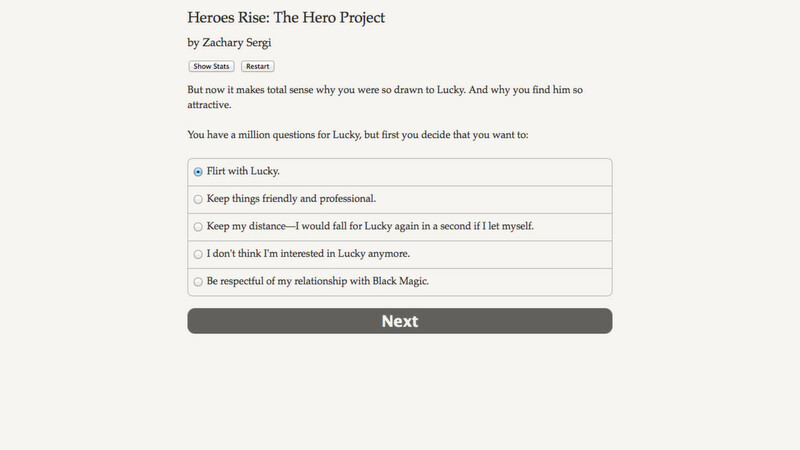 "First-time readers can enjoy 'The Hero Project' as a standalone novel," said author Zachary Sergi, "and returning fans are in for a treat. There will be plenty more Victon drama, new love interests (or old ones, if Black Magic is your main squeeze), brand new Infini Powers, and dozens of new heroes and villains to meet--and defeat." Play as male or female, gay or straight; you can even start a "showmance" with the other contestants. What will you sacrifice to become the nation's next top hero?